The Pokémon Company International has announced that Team Skull clothing and accessories are now available to buy, exclusively on the Pokémon Center website. Team Skull is a group of ruffians that many will have seen causing mischief and stealing Pokémon from other Trainers in Nintendo 3DS exclusives Pokémon Ultra Sun, Pokémon Ultra Moon, Pokémon Sun, and Pokémon Moon. 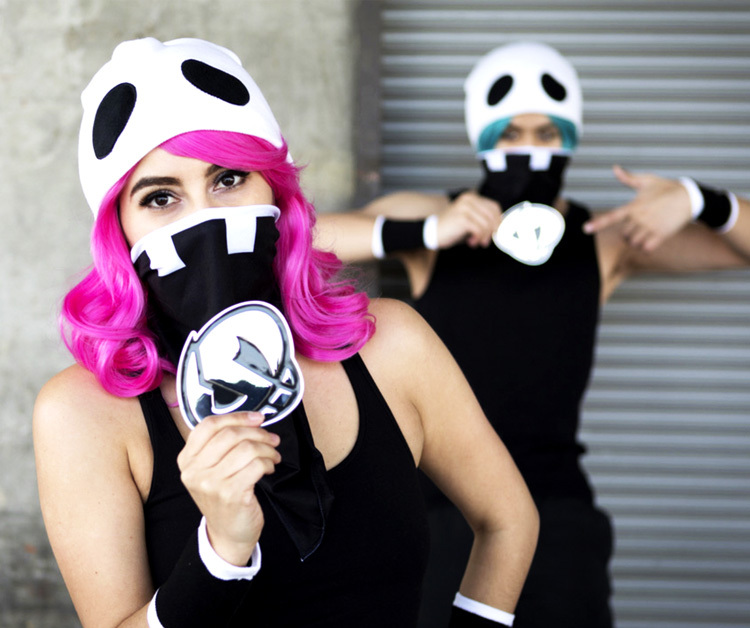 Their members wear distinctive black-and-white clothing, beanies, and bandanas to show their team pride, which are now on sale. Team Skull Accessory Kit with Beanie, Bandana, Necklace, and Wristbands ($39.99): These accessories will help deck out any Team Skull Grunt with the stylised look of this notorious Alolan group! A sheet of stickers featuring the Team Skull emblem is also included. Team Skull Guzma Half-Sleeve Hoodie ($69.99): Don the stylish threads of Guzma, the leader of Team Skull, with this hip half-sleeve hoodie. Team Skull Relaxed Fit Crew Neck T-Shirt ($29.95): Sport the iconic Team Skull look in this comfortable, relaxed-fit T-shirt with a printed foil graphic featuring the Team Skull necklace. Team Skull Messenger Bag ($79.99): Whether you’re carrying Poké Balls, Potions, your Pokédex, or schoolbooks, any Trainer needs a place to store the essentials! Team Skull Socks ($12.50): These comfy crew socks will keep any Team Skull Grunt’s feet warm—and show their spirit at home, school, or in the office.